News from LMCU: The new LMCU app is here! The new LMCU app is here! 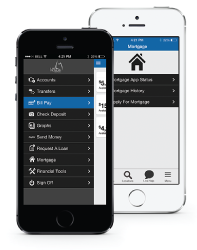 Loaded with new features, improved functionality and ease-of-use, our revamped mobile app is ready for download. iPhone users can update the app from the App Store. Android users must first delete the old app and then install the new Lake Michigan Credit Union app from Google Play.